As Wildrose was the first vineyard we planted in the modern era of DuMOL, it plays a special role in our story and evolution over the last 23 years. 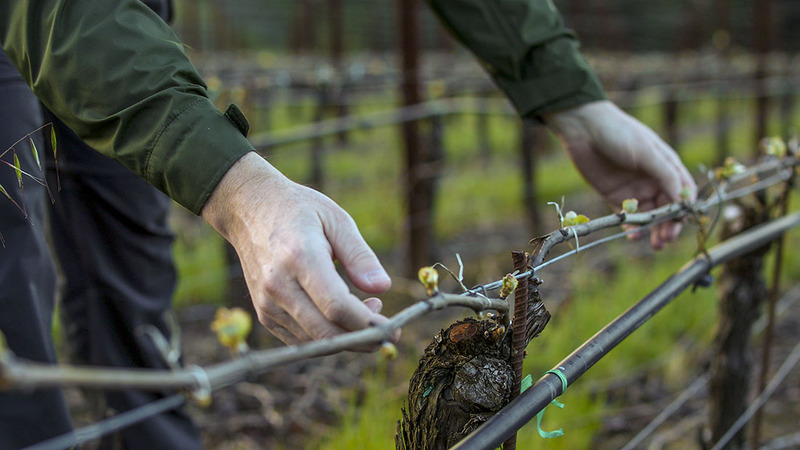 We now lease the vineyard and control all aspects of the farming, from pruning to composting to crop levels to harvest dates; hence, the change in designation from Aidan to Wildrose Estate. As this site is a sentimental favorite of mine, it’s fitting that the new 2016 bottling is among the finest wines of the vintage and one of the greatest expressions of the small vineyard we refer to as “the secret garden.” There will never be much of this highly allocated wine to go around, but the quality is superb—as perfect an expression of the Green Valley–Sonoma Coast border area as one could find. Our 2016 Wildrose Estate Pinot Noir is an exceptionally poised, elegant wine, all lacy, delicate and fine, not pushing its richness too hard. Black cherry and black raspberry dominate the fruit flavors while savory thyme and rosemary accents provide intrigue, the wine’s building power and depth kept in check by sleek acidity and fresh apple-skin tannins. There’s a lovely, graceful, almost haunting inner-mouth aromatic quality to the wine—lifted, finely poised and pure. One can enjoy Wildrose Estate on release for its youthful vibrancy, but its real treasures will be revealed with a couple of years in the cellar. As you can tell, I’m in love with this wine, and it’s abundantly clear that nothing has been lost over the journey from vine to bottle. Drink between late 2019 and 2026.